for naming a pretty cool life. 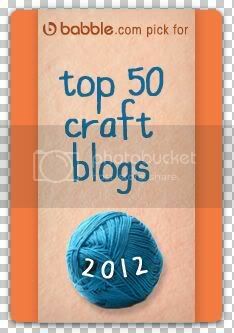 to Babble's Top 50 Mom Craft Blogs! I am in such amazingly creative company...I'm still pinching myself! You go girl! I'm not surprised. You run a fabulous blog here. Congrats!!!!! Yay! congrats! so excited to be up there with ya :) Where did you grab the button from?